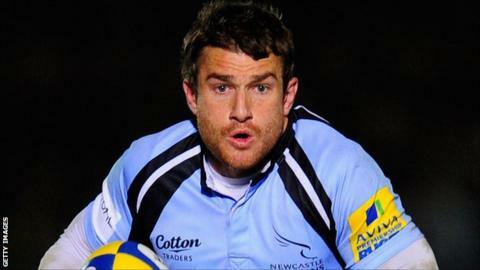 Utility-back Jeremy Manning has left Newcastle Falcons by mutual consent after two years at Kingston Park. Manning, 25, scored five tries in 33 games with the Falcons following his arrival from Pro Direct 12 side Munster in the summer of 2010. "It is with regret that we have mutually decided to terminate his contract," chief executive David Bell said. "I would like to thank Jeremy for all his service to the club." He added: "We wish him all the very best for the future."